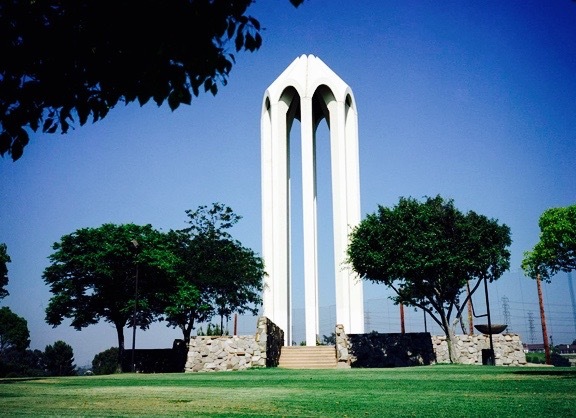 LOS ANGELES – This year’s commemoration of the Armenian Genocide, at the Montebello Genocide Monument, will take place on April 25 at 12:00 noon. The commemoration will include political speeches and religious services. Wreaths will be placed around the monument by the general public and more than 60 religious, political, compatriotic and civic member organizations of the United Armenian Council of Los Angeles. The joint choir of Armenian Society of Los Angeles and California Armenian Youth Association will perform during the event. Flag ceremonies will be conducted by Homenetmen and AGBU scouts. In order to facilitate participation in this commemoration, the United Armenian Council has reserved transportation service for the public; buses will be prepared to depart at 10:30 a.m. from St. Mary’s Church in Glendale, and from St. Garabed Church in Hollywood. In Montebello, there will be continuous shuttle bus service between Montebello’s Holy Cross Church and the Genocide Monument. In commemoration of the 100th anniversary of the Armenian Genocide, the United Council has also planned various activities/events: A blood drive campaign has been organized for the month of April at ten different community centers; the blood drive is in honor of all Armenians who perished in the Genocide of 1915. On April 17-19, there was a Youth Art Exhibit carrying the theme of “Genocide, Rebirth, and Retribution,” with participants from Armenian day schools, Armenian art centers, ARS Saturday Schools, and Armenian students from public schools. Opening night for this Youth Art Exhibit was April 17 at Glendale Pacific Community Center and Park. Another art exhibit – “100Life”, showcasing classical and contemporary Los Angeles-based Armenian artists’ works, is currently in progress at Brand Library in Glendale (1601 W. Mountain St.), and will continue through April 30. The United Council is one of the sponsors of this exhibit. Additionally, a resource package has been prepared by the United Council, exclusively for the use of university and high school Armenian Student Associations, to bring awareness to the Armenian Genocide among the student population of higher education institutions. This package includes historical and archival evidence, such as Genocide related books, DVDs, pictures and flyers. For more information and specifics, please visit www.uacla.com. The United Council encourages each and every Armenian to participate in the commemoration of the centennial of the Armenian Genocide through the many events organized in the greater Los Angeles area, including the March for Justice, planned on the historic date of April 24. This march will start from Hollywood’s Little Armenia and end at the Turkish Consulate.